IJAN’s “Never Again for Anyone” work aims to make connections between the current environment of Islamophobia, other forms of xenophobia, political repression and support for Israel. The work draws on the parallels between the political contexts of dehumanization and political repression in Nazi Germany, Palestine, and the West. The first Never Again for Anyone tour, organized by IJAN and supported by MECA, took place from January 21 through February 17, 2010. The tour featured Dr. Hajo Meyer, an Auschwitz survivor and member of IJAN in the Netherlands. In this tour, Dr. Hajo Meyer was joined via video-conference from Gaza by Dr. Haidar Eid. The tour visited 14 cities in the UK, Ireland, France, Austria, Switzerland and Germany. Over 2,000 people attended these events. 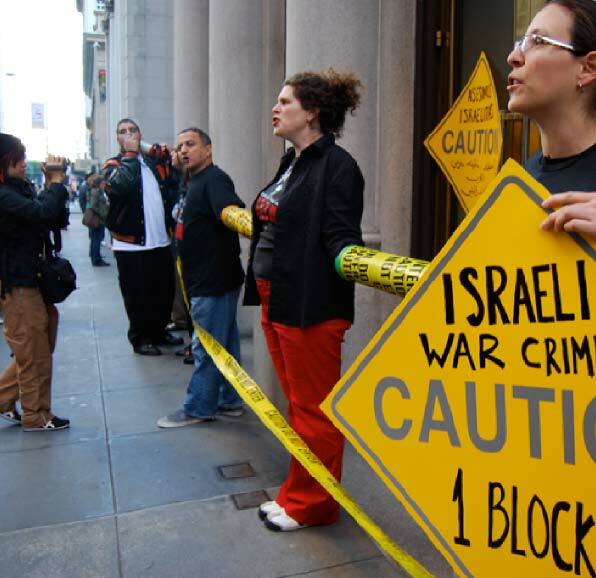 From January 24 through February 20, 2011, the International Jewish Anti-Zionist Network (IJAN), the Middle East Children’s Alliance (MECA), and American Muslims for Palestine (AMP) co-sponsored a “Never Again for Anyone” tour in the United States featuring testimony from Dr. Hajo Meyer and Dr. Hatem Bazian. In August of 2014, during Israel’s massacre in Gaza, more than 350 Jewish survivors and descendants of survivors and victims of the Nazi genocide penned a letter published in the New York Times decrying Israel’s assault. The letter challenged Elie Wiesel who used his public profile and status as a survivor of the Nazi genocide to justify Israel’s brutality. The letter garnered widespread attention all around the world.